Small organizations making big differences. As I use my muscles to travel around the planet I am seeking out people and organizations who need our support in creating a more just and sustainable world. My goal is to share their inspiring stories and raise support for them through my mass media attention, public following, filmmaking, and any other ways I come up with. This list will grow as the distance covered by the route grows. The financial support raised will be distributed evenly among the organizations that we partner with. Blue Dragon Children’s Foundation is a grassroots charity serving children in crisis throughout Vietnam. We believe that every child deserves the best care we can offer. Blue Dragon kids are street kids, children with disabilities, and young people who have been trafficked. We rescue kids from danger and slavery, reunite them with their families when we can, and provide all the services needed for recovery and growth. Plastic Free Cambodia is working to reduce the use of single-use plastics in order to create a healthier community and environment. We conduct workshops and training for schools, hotels, restaurants, NGOs and private companies on waste management, climate change, environmental health and ecosystems. We are actively involved in a host of important initiatives and events in communities across Cambodia. Alpine Edible Schoolyards is a not-for-profit initiative that combines urban farming and school gardens into a fertile catalyst for hands-on practical learning & local food production. Students from schools throught the Bow Valley have the opportunity to participate in a productive urban farm which continues to thrive in the summer months when school is out. Both students and teachers have the support of urban farmer mentors to guide them through the world of plants and support the integration of gardens & food into curriculum. 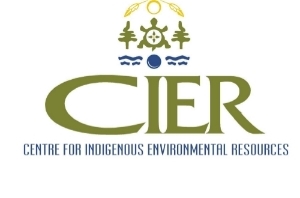 Centre for Indigenous Environmental Resources is the only national, First Nation-directed environmental non-profit organization with charitable status. Our work focuses upon meeting First Nation needs, as they define them, and by sharing the tools and solutions we work with First Nations to create so they can take action to solve the environmental problems that affect their lands and waters. Over the past 20 years we've been able to create a variety of guidebooks, planning tools and workshops that are aimed to build the capacity of First Nations. Atikokan Youth Initiatives is a non-profit organization providing programming, and a youth drop-in centre for the teens of Atikokan, Ontario. Our aim is to provide a location for youth to come together, take part in sports and other activities, participate in stimulating and challenging discussions, and develop social and life skills that will carry them into their future. Programs we have offered include educating the youth about growing our own food and making recipes using our own local organic produce from our garden, a Girl’s Leadership program, impaired driving avoidance activities, and encouraging our youth to become involved in community activities. Atikokan Youth Initiatives is an inclusive, bullying free space for youth of all backgrounds and ability levels. Prevent Cancer Now is a Canadian civil society organization including scientists, health professionals and citizens working to stop cancer before it starts. Prevent Cancer Now carries out both education and advocacy, to eliminate preventable causes of cancer - on the cutting edge of science, many everyday exposures can contribute to the development of cancer. Prevent Cancer Now agrees that old roads are not all taking us to the healthier world we envision, and that together we need to embark on more Routes of Change. The p.i.n.e. project’s mission is to build healthy communities deeply connected to the natural environment. To achieve this we deliver programs focused on building relationships between self, others, and the environment. Using music, drama, storytelling, naturalist studies, stewardship, survival skills, outdoor adventures, intergenerational learning, games, and play we weave a “culture of nature connection”. This empowers our mantra: be more, need less. Clayoquot Action is a Tofino-based conservation society committed to protecting the biocultural diversity of Clayoquot Sound. Our goals are accomplished through public education, citizen research and monitoring, and advocacy. Clayoquot Action stands for democratic rights, indigenous rights and the rights of Mother Earth. Our work is to investigate and expose ecologically destructive industries, such as mining, salmon farming, oil pipelines, and tanker traffic. We promote a positive vision for Clayoquot Sound, one that will see healthy human communities thriving in harmony with a healthy environment. Clayoquot Sound is the last great rainforest on Vancouver Island—one of the great wild places on Earth. The Ancient Forest Alliance (AFA) is a non-profit advocacy organization working to protect BC’s endangered old-growth forests and ensure sustainable second-growth forestry. We build broad-based support from diverse sectors of society – First Nations, businesses, unions, faith groups, and the general public – to pressure government to enact new laws and policies. We also work to explore and document both the beauty and destruction of BC's ancient forests for the world to see. Friends of Clayoquot Sound (FOCS) was founded in 1979 to protect the ecological and cultural diversity and integrity found within the Clayoquot Sound region. Our mission is to preserve natural biological diversity and ecosystem dynamics while stimulating the creation of a conservation-based society, with a corresponding conservation-based economy. At Go Kuleana we believe in the future of this planet and the generations that will inherit this earth. We are committed to teaching the concepts and values of sustainability and personal responsibility to the youths of this land. Our programs are fun healthy and empowering. 2) Manitoba Energy Justice Coalition is sort of a parallel type of organization to TIK, a grassroots, non-charitable non-profit that works on the same types of campaigns as we tackled through TIK. They are actively engaged in fighting the Enbridge Line 3 expansion project, working with Indigenous groups and communities in Minnesota, Manitoba and Saskatchewan.